Coal-fired generation is not the answer for fighting energy poverty, according to a new position paper from international development organizations. 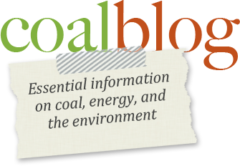 The paper, “Beyond Coal,” released by the Overseas Development Institute and a consortium of other international groups focused on fighting poverty, among other things, disputed claims by the fossil fuel industry that coal should play a central role in efforts to eliminate extreme poverty and improve access to energy for billions of people in developing countries. The paper said more coal plants will actually entrench poverty due to air pollution from burning the fuel. It said air pollution from coal causes hundreds of thousands of premature deaths per year in China and India. The carbon emissions from more coal plants would also worsen global warming and will push even more people into extreme poverty, the paper said. The authors said that development over the past decades in China should not be credited entirely to an expansion of coal-fired plants in the 1990s, since agricultural and macroeconomic policy changes before this time had already made significant contributions to poverty reduction. The ACC’s Monseu said the authors of the paper acknowledged the importance of coal in China’s development, which she called a “resounding economic success story” and also that the Asian country was making “great strides” in improving emissions from sulfur and nitrogen, among other things. “Clearly it’s not time to throw the baby out with the bath water by suggesting that coal power not be expanded in other developing economies,” she said. But Monseu’s take is that people with access to electricity can live longer and better. The message that coal can solve some of the world’s energy poverty issues has been one of the strongholds of industry advocates for some time, with companies like Peabody Energy Corp. and others pushing a message that focused on the contributions coal has made to developing industrial economies. Reprinted with permission from S&P Global Intelligence.